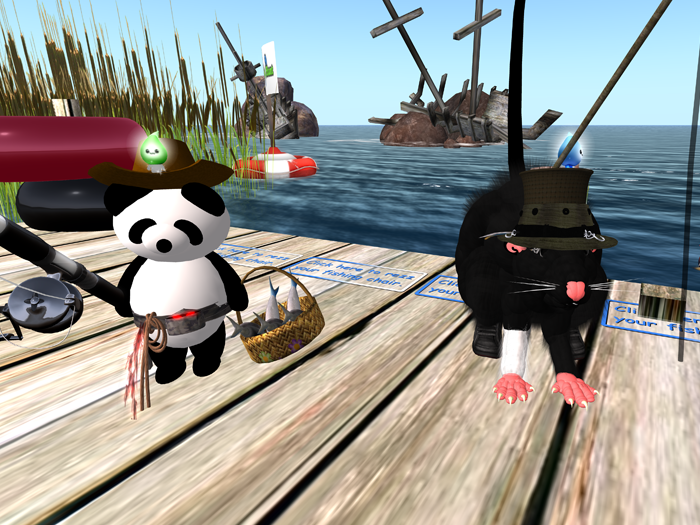 It's tough for most avatars to make a living in Second Life. Why not become your own boss and earn that living as a fisherman or fisherwoman? 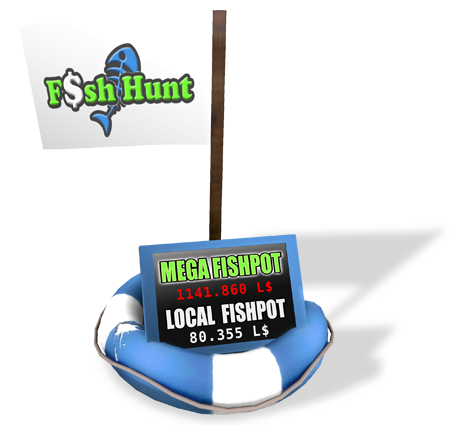 With Fish Hunt its really easy to earn linden. What's more you get to explore some of the coolest places the grid has to offer and meet all the coolest people too! Fishing has something fun for everyone. Compete to become the best fisher on the grid, visit cool multiplier events with big crowds of fishers and make new friends! You'll be starting out, just like any new fisher, with limited fishing experience and equipment. We'll provide you with a free Beginner Rod and some free Worm Bait. We allow avatars to fish for free with beginner equipment, but the rest as they say is up to you! Fishing is a real skill that you'll have to develop over time. 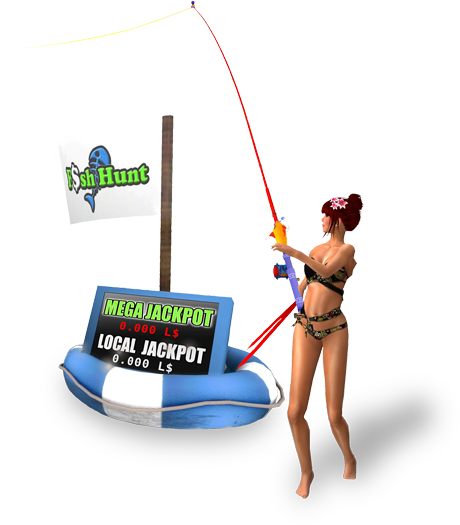 Keep gaining Fishing Experience Points and your earnings will gradually increase. 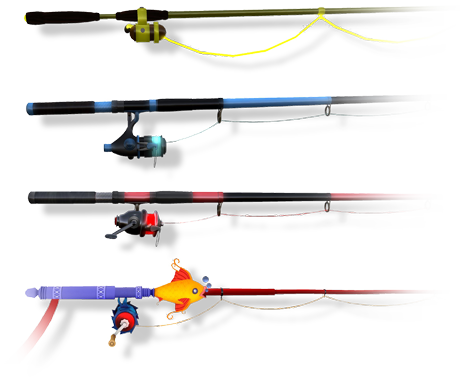 Soon enough you'll be able to upgrade your fishing rod and your experience will increase even faster. Fishing rods are the most important piece of equipment a fisher needs to have. Having a better fishing rod will help you gain experience points faster and therefore help your earnings increase faster as well. You can use our free Heads Up Display to find new exciting lands to fish in. Simply wear it and you'll see it appear on your screen. 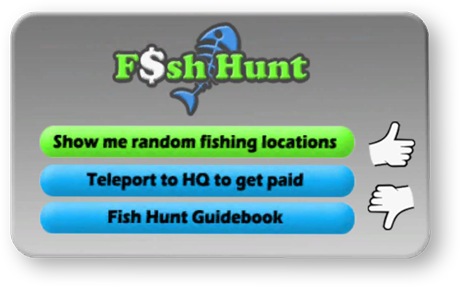 Also you should use our online Fish Hunt Multipliers List to find cool events that will give you increased earnings per fish! Players from all over the grid will be able to find your land using Land Finder HUDs. You'll be able to set Multiplier Events and have them advertised directly on our website Multiplier Events List. Our Frantic Support Team will help you advertise directly to our groups with over 25,000 daily active players.